meg IS a sophomore from tokyo/london pursuing a major in mathematical and computational science and a minor in symbolic systems. 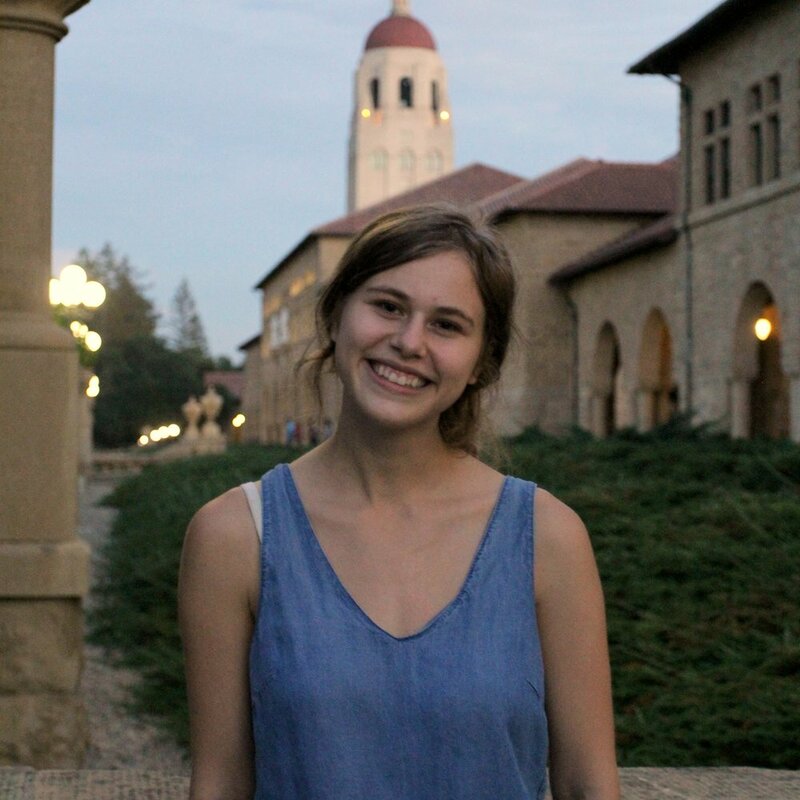 she is interested in various processes underlying human cognition and works in the stanford computation and cognition lab. in her free time, she enjoys teaching yoga and listening to the rain (which she misses in sunny california). HOPE IS A senior in symbolic systems with an individually designed concentration. she loves natural language processing and virtual reality. She works on alumni events, like the "pathways of symsys" series. in her free time, she loves skiing, yoga, and ice skating. jonathan is a Philosophy and Computer Science student at Stanford University and is excited by the potential of technology to radically change the world for the better, but is cognizant of the potential for unintended consequences inherent in rapid transformation. He is, however, an optimist and believes that thoughtful design decisions on the part of technologists can minimize these adverse effects. Millie ('22) is considering studying symbolic systems and sociology. She is interested in increasing global knowledge and cooperation through ethical technology. Millie also enjoys singing, Youtube documentaries, and rambling about her life. Stephanie IS A symbolic systems graduate and a learning, design and technology coterm. she was a research assistant in the memory lab and a teaching fellow for the psych one program. in her free time, she enjoys singing a cappella, swimming, and reading poems by t.s. Eliot. Lucy IS A symbolic systems alum and cs coterm with a concentration in natural language. she is interested in rose milk tea and holland lop bunnies. She manages SymSys Society’s Social presence in real life and online. She takes random scenic pictures of campus to use as banner photos for this website. additionally, she studies language and behavior using code. 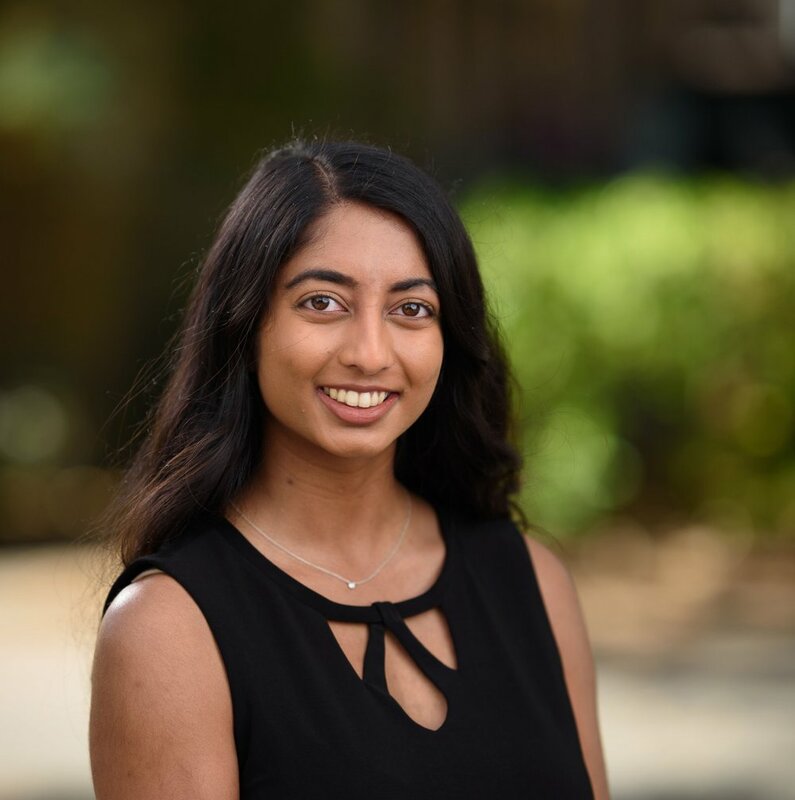 Pratyusha (tru) IS A second year master's student in symbolic systems. she is currently a research assistant in the alps lab investigating questions of experimental semantics. in her spare time, she enjoys hot yoga, swimming, and watching re-runs of bob's burgers. LAURA IS a senior at minerva school majoring in cognitive neuroscience and data science. she's researching at stanford's social learning lab at the psychology department, and got obsessed with children and the human mind. In her spare time, she likes to stare at squirrels and guess what they're thinking. she loves symsys's open-minded, intellectual, curious and adventurous vibe. Michelle is a first year student considering studying Symbolic Systems or CS and minoring in Economics. She is interested in the intersection between ethics and technology, linguistics, and behavioral economics. In her free time, she enjoys traveling, learning foreign languages, working out, and dancing. Jenny IS a sophomore in symbolic systems. she is interested in exploring everything symbolic systems has to offer, especially as applied to human and user experience design. in her free time, she enjoys watching chinese period dramas, dancing, eating everything, stealthily grabbing swag from career fairs, and the color blue. Michelle is a sophomore majoring in symbolic systems. 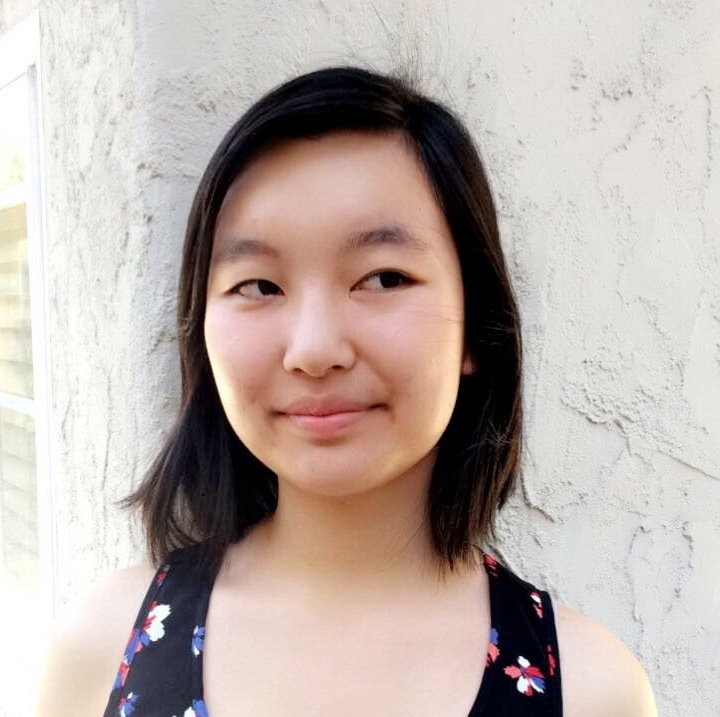 She is interested in the intersection between neuroscience, philosophy, and computer science. She wants to explore more into the ethical implications that technology has in many aspects of our lives. In her free time she enjoys walking dogs, watching educational youtube videos, and chilling with friends. Eric is a SymSys major with a concentration in Theoretical Neuroscience, especially interested in the underlying processes of language learning. He's worked on academic and industry AI projects, likes taro milk tea, and has a pet Parson Russell. Darian ('19) is a Symbolic Systems major currently concentrating in AI. He is interested in natural language processing and deep learning, especially in contexts such as American elections. In his free time, Darian likes to read, bike to other cities, and get boba--liquid gold 50 sweet. Anna IS MATH '18 (CS MINOR). she works on research in machine learning and graphics. in her spare time, she enjoys drinking tea and exploring farmer's markets. Anna LEFT US to go to the University of Cambridge. george is cs '17 (Artificial intelligence) and symsys masters student. He worked on machine learning for automated vehicles in Stanford Intelligent Systems Laboratory. He spends his free time cooking and learning history of Thai and cantonese foods. george was an awesome event coordinator for symsys society. sydney is symsys '17, with an Individually-Designed Concentration (because apparently an interdisciplinary major just isn’t interdisciplinary enough for her). She is also an advising fellow for the Symbolic Systems major, and is notorious for sending lots of symsys-related emails. In her free time she likes collecting classic rock trivia and appreciating accidental alliterations. She left us to work for anaconda, inc.
allen is symbolic systems M.S. '17. He focuses on machine learning and applying them to natural language. he was in the stanford artificial intelligence group, advised by andrew ng and dan jurafsky. he enjoys coffee, random chats on human cognition, and society. he did a great job hosting symposiums during his time on board. Allen Left US to be a research scientist in Biomedical Data Science. JULIA IS linguistics graduate. Her main interests include natural language virtual assistants and computational approaches to sociolinguistics. She enjoys watching gilmore girls, attempting to talk in Spanish and/or German, and drinking hot cocoa from cozy mugs. Jon is Symbolic Systems '17, with a concentration in natural language. He worked as a researcher in the Stanford Natural Language Processing Group, advised by Christopher Manning. In his free time he likes to learn languages and ride bikes at high speeds. he initiated and organized symsys coffee chats during his time on board. Jon left us to do a phd at mit. EMMA is a senior with a concentration in cognitive science. she loves learning about cognition, especially self-concepts, reinforcing cycles of belief, narrative psychology, and moral decision-making. she is a research assistant in the social neuroscience lab, which studies empathy and prosocial behavior. in her free time you can find her doing anything music-related, playing soccer, reading, learning about wellness, meditation, or eating donuts.